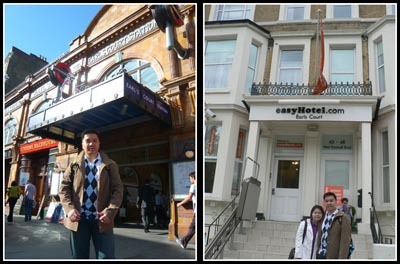 Alighted at Earl’s Court station from Heathrow Terminal 4 and walked for about 10 minutes to easyHotel. Check-in timing was at 3pm so we left out luggage at the luggage room (charge of £2 per bag per 24 hours). Our room belonged to the “Small Rooms – no window, 6-7 sq metres” category and like what many Tripadvisor forummers said, the experience is almost like staying in a cruise ship room (with no windows) except that everything is very orangey – easyHotel corporate color. The room was very small, barely enough for 2 persons to move about – you reach the toilet in 2 steps from the door, the bed in 3 steps. Now we know why they charge a per-day rate for luggage storage – because most rooms does not have space to put too many luggages! Small it may be, but it is clean and toilet/shower facilities were working well. The reception staff was also very friendly, accommodating to our many requests to open the luggage room to put in/take out our things. Another gripe we have with easyHotel is – No Lifts! Our room is at one of the highest floor – 3rd floor with a very narrow stairway. Imagine carrying a 18kg luggage up 3 floors – that’s what i did! 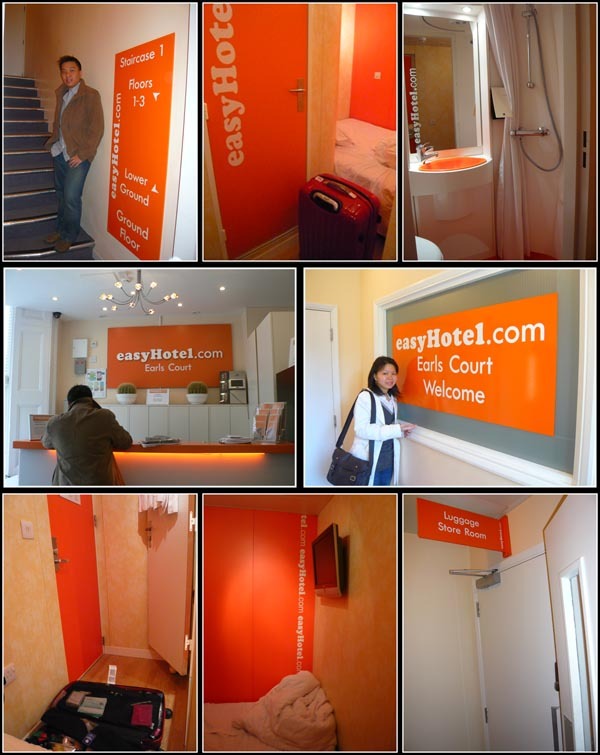 More information can be found on easyHotel official website. There are other branches in other parts of London as well as Europe e.g. Budapest. Book early to get the best price.